When you need a garage door company to perform an installation on your home in Murfreesboro, Tennessee, look no further than 31-W Insulation. 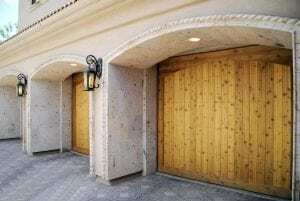 We proudly offer and install top-of-the-line garage doors from Amarr®, one of the most trusted brands in the industry. That means you’ll receive a door that’s made from durable materials, designed to withstand high winds, insulated to suit your needs, and outfitted with some of the most effective safety features on the market. Plus, you’ll be able to customize your garage door by choosing from a variety of attractive styles, colors and woodgrain finishes, window options, and decorative hardware sets. We are fully committed to providing the best experience possible in every project we perform. In fact, we hold an A+ rating with the Better Business Bureau as a testament to our consistently achieving total customer satisfaction in all that we do. For additional details about our products and services as the premier garage door company serving Murfreesboro, TN, homeowners, contact 31-W Insulation today.